It is commonly accepted that sushi originated in the 8th century in Southeast Asia. Over the past 1,300 years, the expressions of this cuisine have been as diverse as those who have enjoyed it generation after generation. Never more popular than today, sushi has become a ubiquitous offering in dining rooms all over the world. At Feng Chophouse, we recognize where sushi has come by honoring its more traditional iterations. 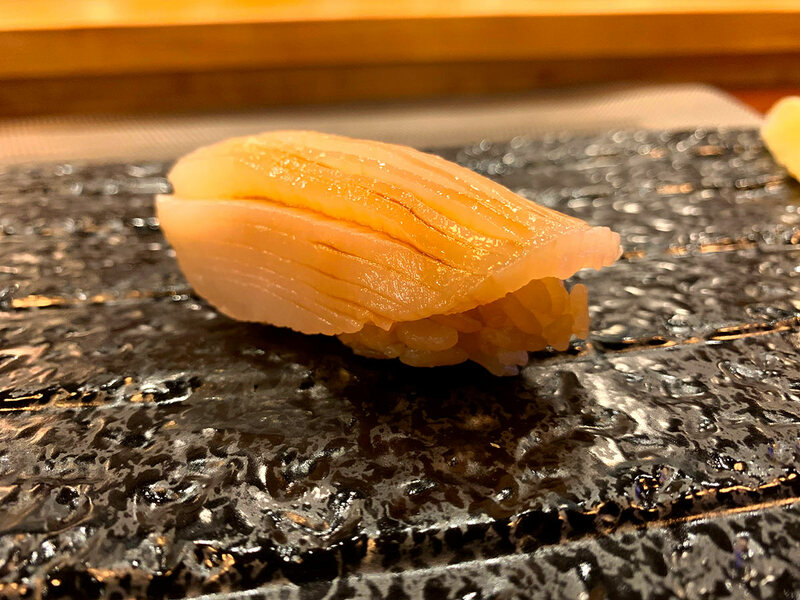 Nigiri, or nagirizushi, is a an expertly hand-crafted combination of Japanese rice and a thinly sliced piece of premium quality fish, typically raw. Devoid of the opulence of maki sushi rolls found elsewhere, the beauty in nigiri is in its simplicity, its authenticity, and its quality. Nigiri is a true expression of sushi as both art and dish. We specialize in the edomae tradition of nigiri, which saw its rise in 1820s Tokyo. A blend of technique and flavor, this isn’t the sushi you’re used to; this is nigiri sushi at Feng Chophouse. From the moment you are first greeted, our primary mission is to provide you with unmatched service through genuine hospitality and a commitment to excellence. Each time we set our table, we invite you to join us for the refinement of fine dining as well as the personality and flare of a modern casual environment. Feng is known for quality and authenticity. By enhancing the concept to Feng Chophouse, we are raising the bar for the Hartford Dining Experience. Traditional authentic sushi is more than just the items on the plate; it is an experience unto itself. The preparation of nigiri and edomae omakase selections is a form of art that we are proud to serve.